Enjoy maintenance free living in the desirable, gated Hidden River community. 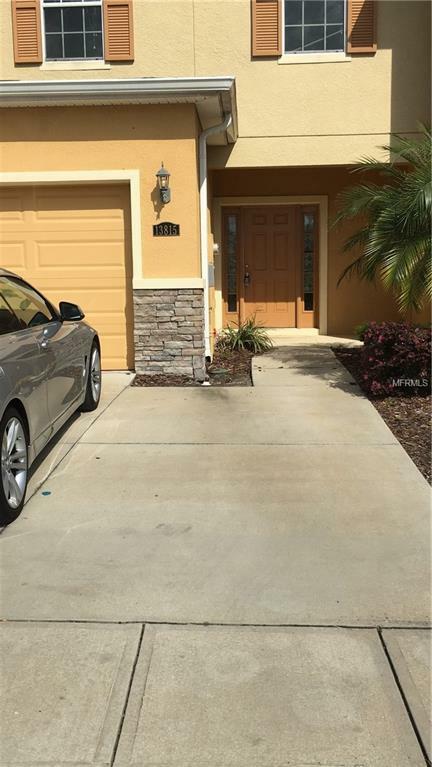 Spacious 3 bedroom, 2 1/2 bath open floor plan townhouse has many UPGRADES. and is perfect for entertaining. Kitchen includes stainless steel appliances, 42" upper cabinets, GRANITE counters, and a large breakfast bar. The covered back porch is the perfect place for enjoying your morning coffee while taking in the serene pond view. Large master suite has a walk-in closet and dual sinks in the bath. Community offers a club house, pool, spa, and fitness center. Conveniently located near USF, Busch Gardens, I-75, Moffitt Cancer Center, Florida & VA Hospitals, shopping, and restaurants. Additional Lease Restrictions Verify Lease Restrictions With Hoa. Pet Restrictions Verify Breed Restrictions With Hoa - No "Dangerous" Breeds Allowed.